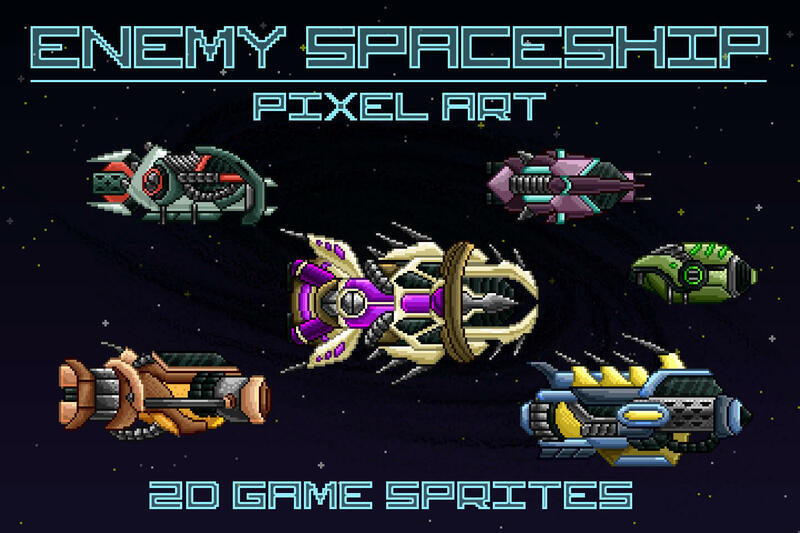 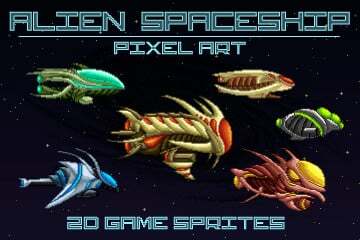 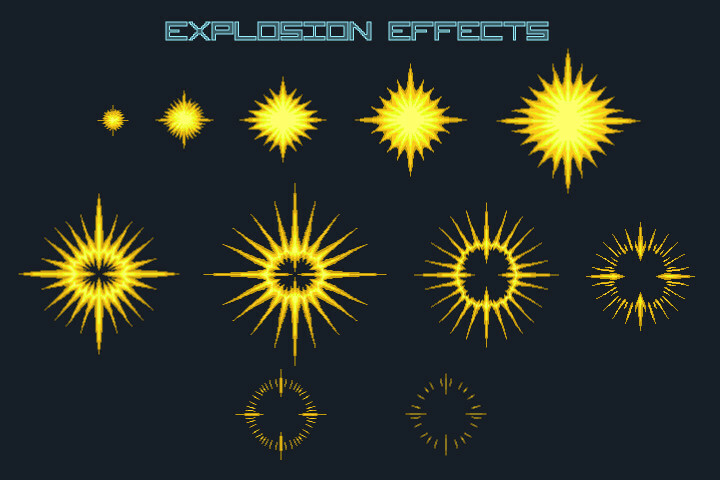 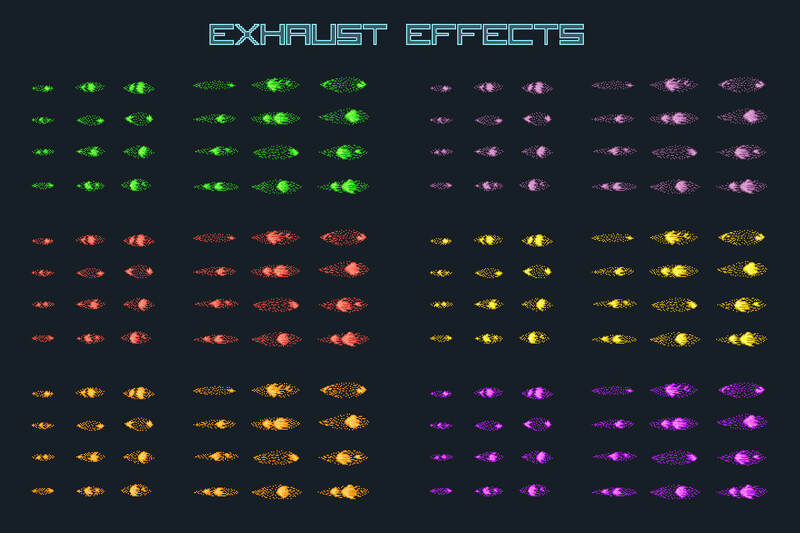 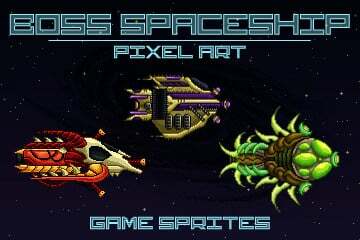 Before you high-quality set – Free Pixel Art Enemy Spaceship 2D Sprites. 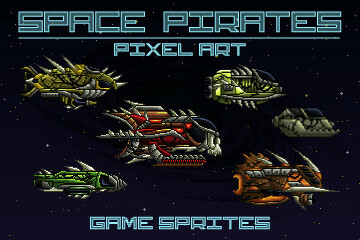 It includes 6 ships. 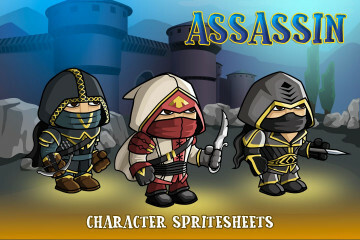 Each of them has its own type of attack. 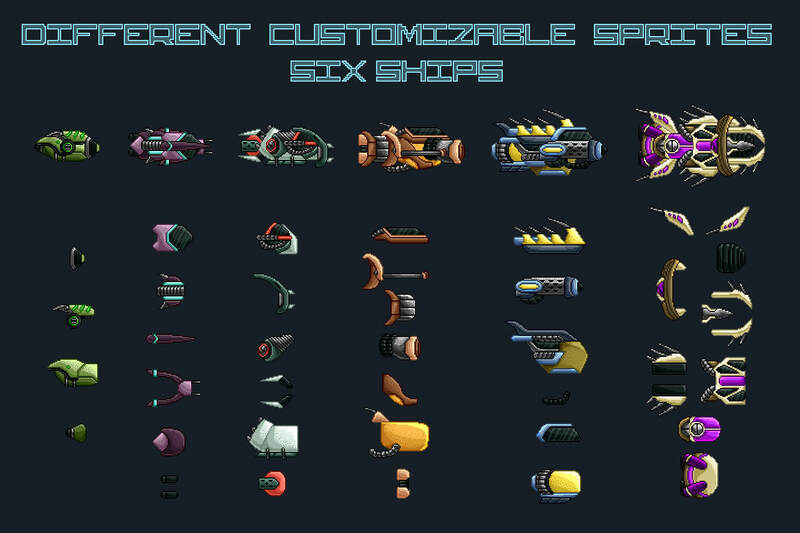 Also, all ships have a disassembled view. 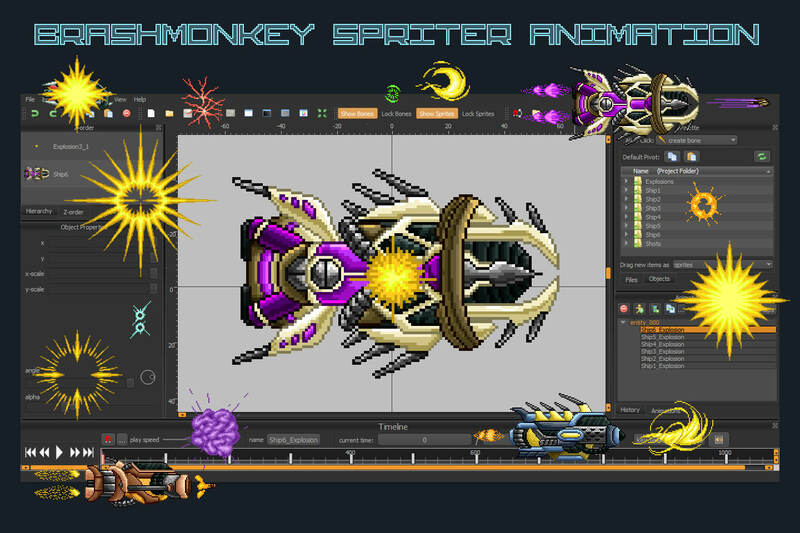 The animation is created in the Brashmonkey Spriter program. 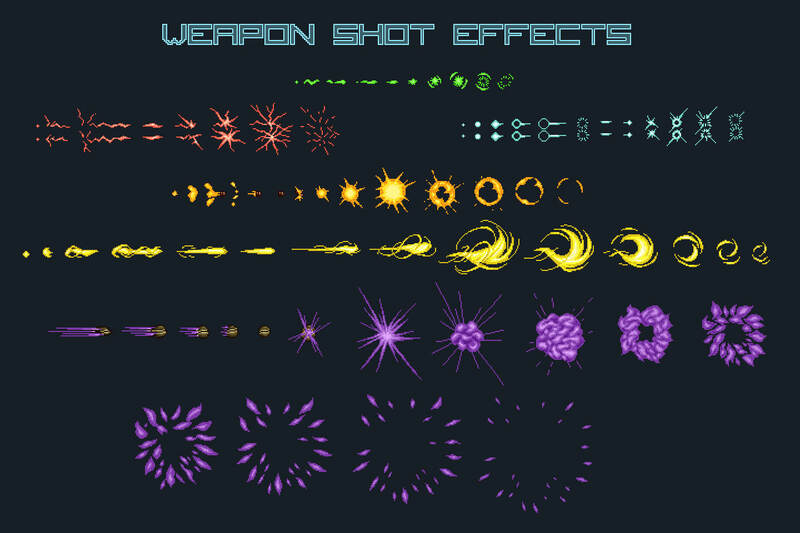 This is shooting, damage and explosion. 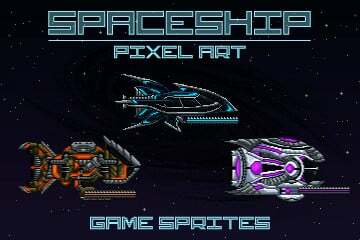 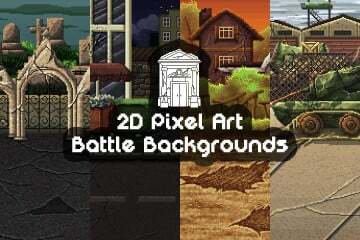 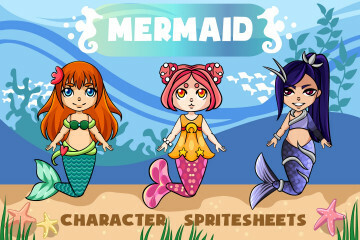 All graphics are made in a wonderful style – pixel art. 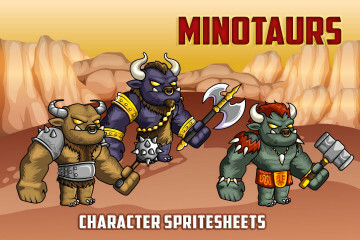 It is popular among indie developers. In the archive you will find the following formats: PSD (multilayered), PNG and SCML. 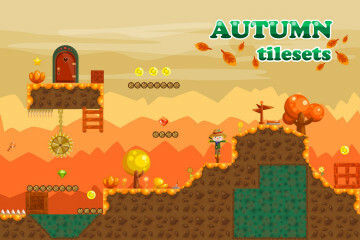 The size of the tiles is 64×64 or 128×128. Thank you for choosing Craftpix.net! 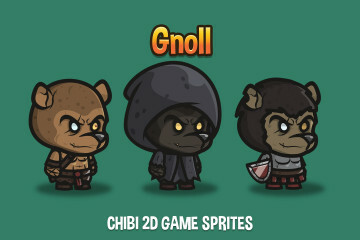 We wish you success in your game projects.